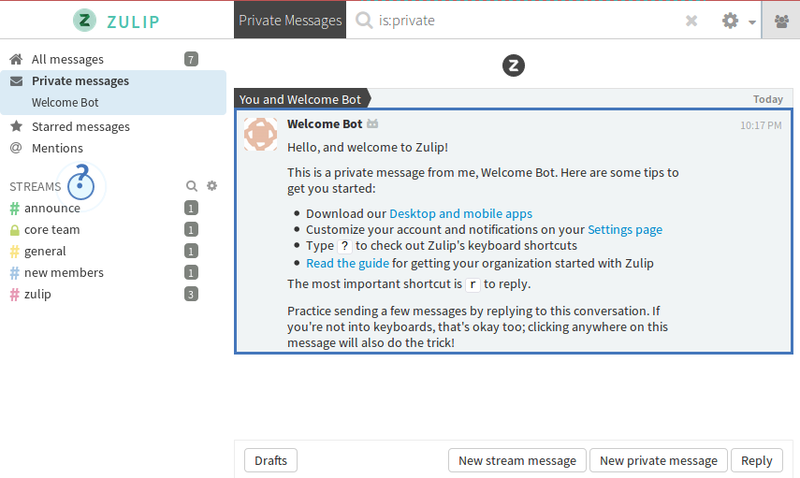 Zulip is an open source chat software for teams, and is an excellent self-hosted alternative to Slack. Awesome, huh? Alright, let’s get started! Don’t worry — this will be quick because the Zulip developers made the installation process super easy! Zulip will automatically acquire a free SSL certificate from Let’s Encrypt. Fill out your e-mail address and press Create organization. The setup page will ask for a few more details like the organization name; fill out those as well. After that, we’re done, and you’ll be redirected to your Zulip app! Right now, we have a big red bar telling us that we need to configure email. So let’s do that! # EMAIL_HOST and EMAIL_HOST_USER are generally required. # for user EMAIL_HOST_USER goes in `/etc/zulip/zulip-secrets.conf`. # EMAIL_USE_TLS and EMAIL_PORT are required for most SMTP providers. 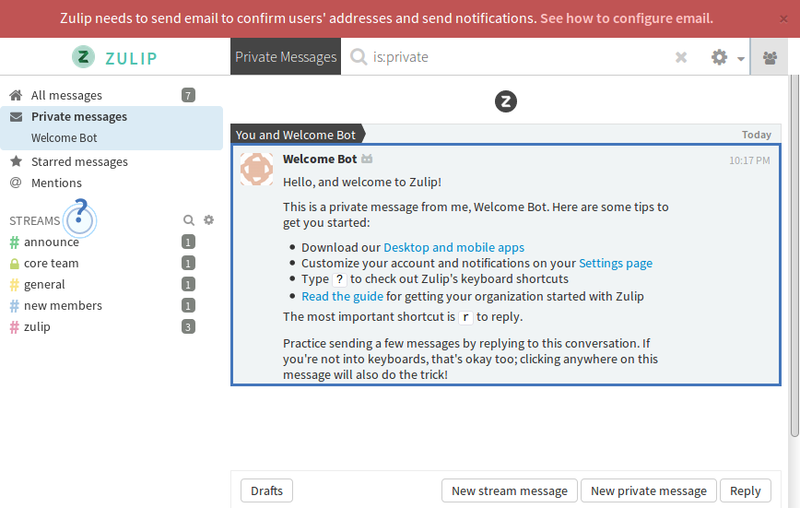 After Zulip comes back online, go back to the browser window where Zulip is open; you should now be able to invite users to your Zulip app by clicking “Invite more users”!